Kitchen is a great place to use my creativity. Bon Apetit! The subscription means Hungarian meat specialties. 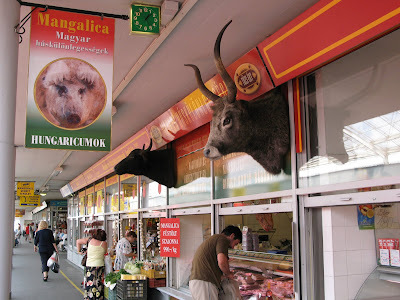 You can see more information about the Hungarian mangalica pork here. I'm Nóra, a 39 years old, married woman with two wonderful children. I'm interested in lots of things, but mostly books, photography and different people and their different lifestyles all over the world. I love traveling and cooking. I love river, beach, the sea, the sun and the sunrise, but not the sunset. I like when something begins, but I don't like if something ends. If you are interested in my country, the Hungarian culture and kitchen, my thoughts and my experiences you are welcome. "Even the fence is made of sausages there"